A round-up of all improvements and changes to the Buzz platform in version 2.0.48, available on May 19, 2016. 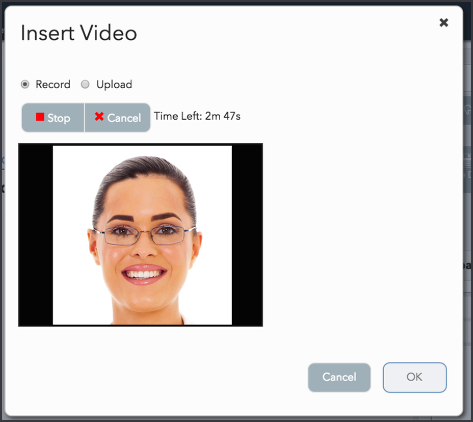 We are happy to introduce audio and video recording features for both teachers and students. 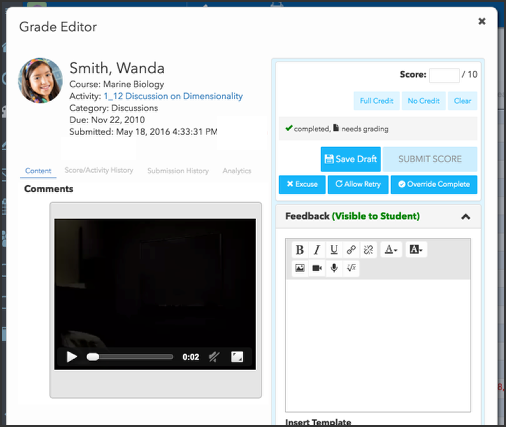 Teachers can quickly record up to three minutes of audio and video feedback when grading, giving them the chance to provide greater detail in a more personalized way. 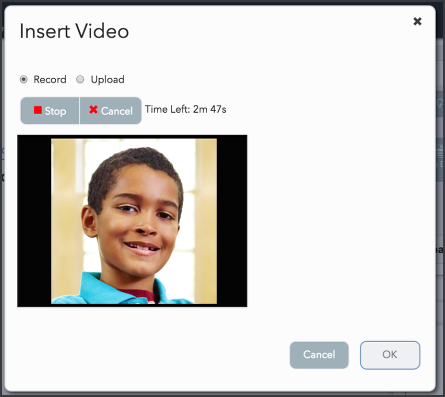 Students will use the feature to record audio and video submissions as the activity, itself (like video blogs or podcasts), or to supplement the activity with reflection, description, next steps, questions, etc. This feature was discussed in the Agilix Help Center. System admins can disable this feature in the Domain Options section of domain Settings. Teachers: How do I create audio/video feedback for students? Teachers: How do I enable audio/video submissions? Students: How do I create audio/video submissions? New activity icons have been added to the platform. The User Settings window has been divided to include a Profile tab for user information and a Preferences tab to manage setting options. When viewing a folder from the Activities tool, its metadata is now displayed in a column on the right side of the screen. 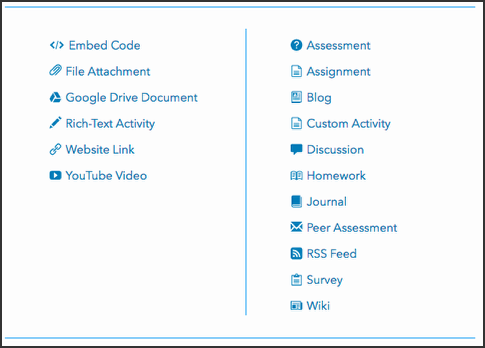 How do I use the activity templates in the Curriculum Map? Popover help text has been added to the "Allow users to create their own accounts" checkbox to alert the admin that users need a token (code) to create their own account. When reviewing a submitted assessment, students can now see the correct answers displayed with short answer questions. When working in a quiz that requires a scrollbar, the page no longer jumps to top of the quiz when attempting to answer questions below the page break, and the scrolling function continues to work. Fixed an issue where an activity's gradebook settings would display the "Allow late submissions" box as checked, but not actually allow late submissions. Fixed an issue where a course's domain name would not appear with the course when using "Search all domains." Fixed an issue where an admin could attempt to navigate to a course or domain Subscribers they did not have access to. Fixed an issue where the menu logo would not display when the "Hide navigation icons when menu closed" box was checked in usersettings. Updates in version 2016.5.19.1636. Learn more. Search2: Changed the default operator to AND so text-array results are ranked properly. GetEntityGradebook2: Fixed an issue where JSON was not allowed for the gradingscheme. ItemFlags: A new enumeration, HiddenFromEditor, to hide an item from the Buzz course editor.